Earlier this week, I spoke at the Government ICT conference in London. 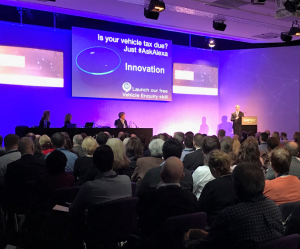 It was a great opportunity to share the progress we’ve made in delivering the DVLA IT strategy. I’d last blogged about this a year ago, so as I’d given a progress update at the conference, I thought now would be the perfect time to give you an update too. The biggest problem in government is that everything is changing all of the time, from legislative changes to unpredictable customer behaviours. So, we need to make sure we can respond as quickly and smoothly as possible. The message I wanted to get across at the conference was that it’s the people, not the technology, that will allow us to do this and become a ‘best-in-class’ IT service. That‘s why our IT strategy isn’t just words and charts about how we’ll get there – it’s about how it will benefit our people and customers. The first big step was bringing all IT services in-house. Having external suppliers was limiting how innovative we could be. We needed an in-house team, who would really care about our future and want to be a part of the journey. The transformation has involved changing the way people think and work. We’ve had a huge reorganisation and every process now has an individual owner, which increases accountability. This is helping us to become the flexible and responsive IT service that we need to be. We’re also promoting a culture of independence and freedom. Our team are encouraged to own their work and to have the confidence to make decisions based on the direction set in the strategy. We’re already seeing the benefits of empowering people to work in this way. We’ve recently introduced a fully functional API platform for the Vehicle Enquiry Service (VES) within really challenging timescales. 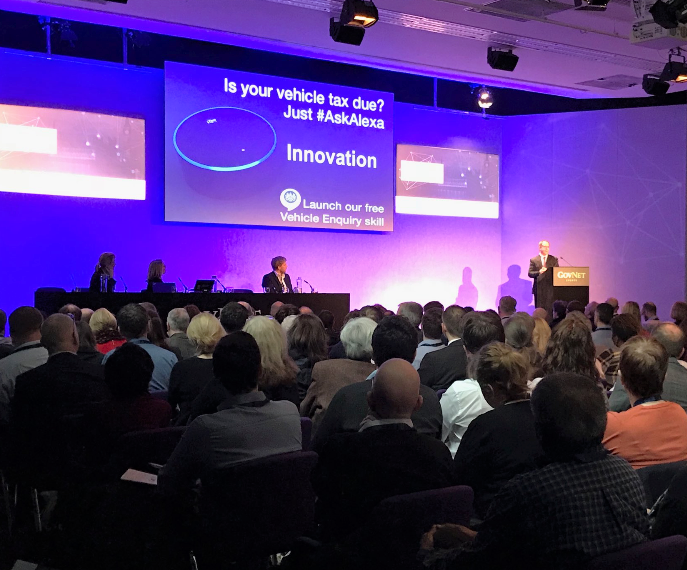 We’re also becoming more innovative – we’re trialing an Alexa product (skill), which allows customers to check their vehicle tax and MOT status. It’s one of the first voice services in government. Our IT operating costs are 40% lower since bringing IT services in-house. Because it costs us less than ever before to make changes, there’s less of a barrier to making the changes we want. We’ve overcome many obstacles to get to this point, and we’ve still got a long way to go. We want to share our challenges and successes with you, so stay tuned for more updates soon. I have only recently been using the DVLA online services and found them very useful and helpful. Because it has been updated it makes it so much easier to use and find out the information that you need. As an example, I recently purchased new car, re-taxed it and also got new insurance for it. Because of the new systems I could check that the vehicle complied with current regulations which was a great help, especially since the insurers were a bit slow in registering it. it allowed me to check that they had done the job in order to keep the vehicle legal. Well done for the new systems that actually make life easier especially when renewals become due. I am all for making it easier and also catching those people who abuse the system. Keep up the good work. An excellent service. An excellent service that can only improve driver awareness and compliance. Well done. Please can you also provide facility to remind car owners when car insurance is due next and also facility where car owners can input data to self remind when tyre checks are due, when car servicing is due and other important checks like oil and brakes and coolant etc. Car owners can customise the data they input for important reminders. Maybe live traffic data based on their regular car journeys. And even feedback on how they are driving after fitting appropriate device. These are great ideas - however they're beyond the remit of the agency. The new services that have been put in place by youselves has made life very easy if the HGV mot`s could be added that would make life perfect, keep up the great work. When will the VES API become available? The VES API will be available as soon as we've dealt with the legacy environment that currently underpins the service. It's a complicated jigsaw that we're working through, so I can't be more specific on exact timings, sorry. It's definitely something we're hoping to achieve sooner rather than later though. That article could be written in two or three sentences for the little it actually says. It is full of corporate jargon which appears to be used to justify your job. You really need the help of the Plain English Society. Please contact them. Glad to see a public service operated more cheaply than private enterprise. There is too much knocking of the public sector. There are many sincere people working in the public sector who believe in what they do, as you have confirmed. Well done for providing a great service! Well done every body and particularly Alan Fitch who seems to be an excellent fellow and worth listening too. The IT strategy separates domains (e.g. driver, tachograph, trade licence) from utilities (e.g. payment, addressing, notification). Will this therefore be building utilities upon the Government Digital Service's Service Toolkit (https://www.gov.uk/service-toolkit)? We will review each of those services on a case-by-case basis. If they meet our functional and non-functional requirements and can demonstrably operate at the scale we need them to, we will use them. I would like to see better cross sharing of information between sections of the DVLA. It is frustrating when KADOE enquiries return no keeper details, repeatedly, and yet the VES system shows that the car has been re-taxed before the date of the KADOE enquiry. A name and address must be on file to receive the V11 notification. Preventing filing of false addresses by use of a better look up address database would also help prevent false details being accepted.